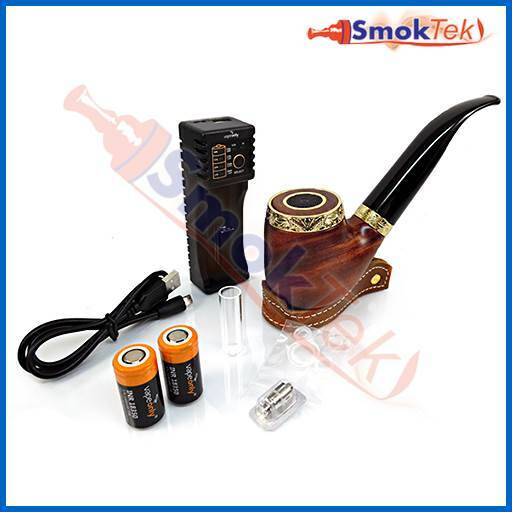 The vPipe III is a beautiful e-pipe starter kit! 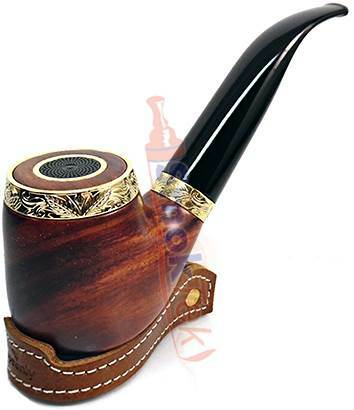 The vPipe III by Vapeonly is a great-looking e-pipe modeled after authentic pipes. The vPipe III is automatic, which means there are no buttons to press each time you want to vape - simply inhale to activate the e-pipe! This beautifully-designed mod feels great in the hand and features a red LED at the top of the Rosewood bowl, which lights up each time you inhale. 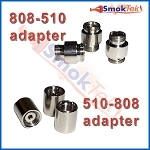 The device uses a bottom changeable coil system: the mouthpiece pulls off to reveal the atomizer (1.2ml capacity), which houses the replaceable coil unit. 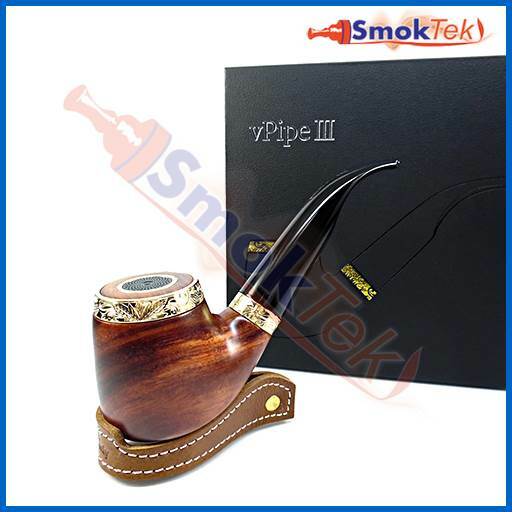 In addition, the vPipe III offers several kinds of protection, including Short Circuit and Low Voltage protection. Changing the coil and filling the vPipe III is easy! 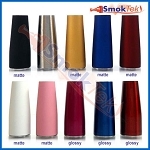 To change the coil, pull off the mouthpiece, unscrew the atomizer and unscrew the base of the atomizer. 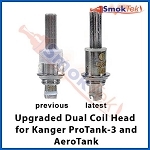 Then, simply unscrew the old/used coil head and replace with a new one. Screw the base back onto the atomizer. Please do not over-tighten when installing a new coil. 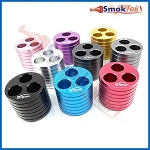 Click here to get more spare coils. 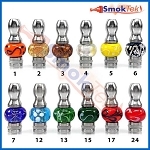 Spare atomizers are also available here. 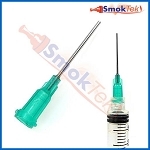 To fill the vPipe, hold the atomizer up-side-down, unscrew the base and tilt at a slight angle. 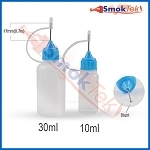 Fill with your favorite e-liquid to about the top of the center metal tube (do not get e-liquid down the center tube, it is for airflow). 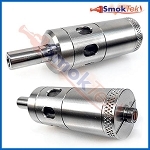 Then screw the base back on, screw the atomizer back into the vPipe and slide the mouthpiece back over the atomizer. 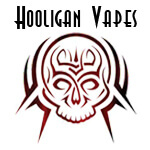 If using a new coil, please allow a few minutes for the e-liquid to fully saturate the cotton wicks inside the coil before vaping. This will prevent it from burning when you inhale. 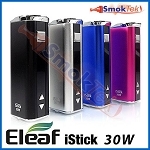 The vPipe III runs on a single flat top 18350 protected/IMR battery. 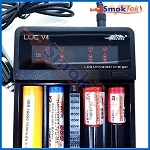 This kit comes with 2 batteries, so that you always have a backup at the ready. Easily charge your batteries with the included li-ion charger. 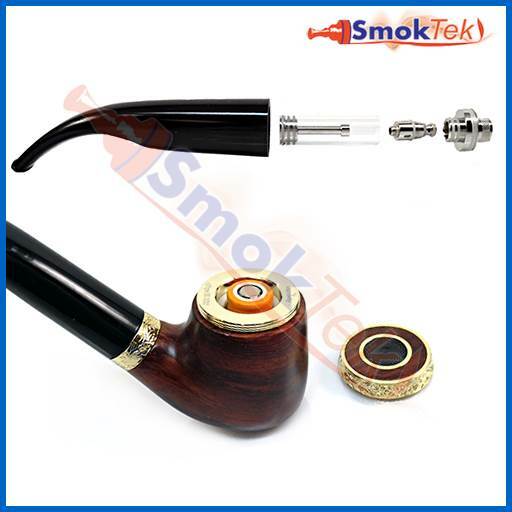 The vPipe III is very simple to operate: unlock the switch cover on top of the bowl by turning it counter-clockwise. Then, insert one flat top 18350 battery with the negative pole pointing down. Put the switch cover back on by turning it clockwise. Please do not over-tighten the cap. 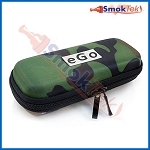 You are now ready to vape! Automatic: no buttons to press! Please note: We highly recommend reading the included User Manual in full before operating this device. 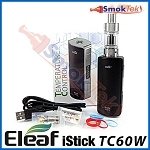 Never use non-rechargeable batteries in this or any other vape device. Only use the recommended batteries for this unit. It is for your safety! Never leave Li-ion batteries charging unattended and always remove from charger once fully charged. Never store/carry Li-ion batteries in your pocket alongside keys or change - doing so may cause the battery cell to discharge/explode. Please consider using a battery case to store the batteries when not in use. Q: Can I purchase 2 replacement mouth pieces for vPipe III? 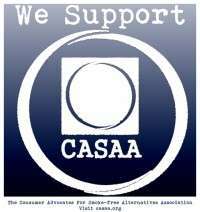 Thanks for reaching out to us! 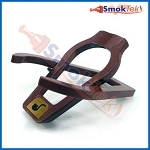 We looked into this, and the mouthpieces for the vPipe III just became available from our supplier. We should should have them available for purchase within 1-2 weeks, and we'll email you as soon as we have them in stock.